Prime Minister Nguyen Tan Dung has asked young people to continue upholding their vanguard role in building and developing the country. 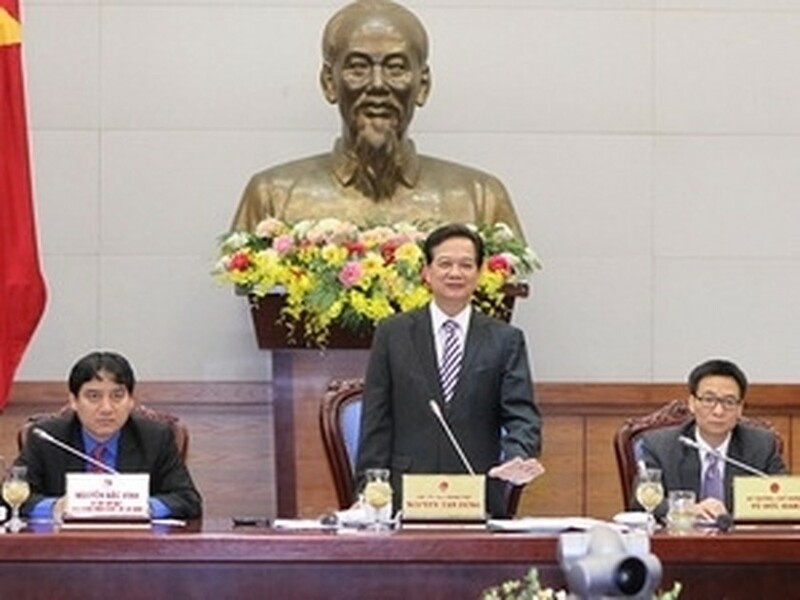 At a meeting with the Central Committee of the Ho Chi Minh Communist Youth Union in Hanoi on March 24, Dung expressed his wish that the union pays due attention to educating young people about the patriotic spirit, love of the nation and love of the regime. He asked the union to support and create conditions for the youth to have access to opportunities to study, conduct scientific research, and develop their talent. At the meeting, Dung and leaders of ministries and branches considered and debated the committee’s proposals, including a proposal on establishing a fund to help rural youth develop careers. Nguyen Dac Vinh, First Secretary of the committee, briefed Dung on activities his union carried out in the first quarter of the year. Among others, the union organised activities to collect opinions from its members on the draft amendments to the 1992 Constitution, Vinh said. It popularised traffic safety laws and a joint resolution between the union and the Public Security Ministry on drug prevention among young people, Vinh added.